AFCAT Paper 1 Answer Key- Check here all the information AFCAT Answer Key for paper 1 which is going to be held on 25th February 2018. AFCAT 1 is around the corner and the candidates must be searching each and every information related to it. AFCAT paper 1 is going to be held in two shifts on February 25, 2018. It is conducted by the Indian Air force at many AFCAT centers across the country. There are two different shifts in AFCAT exam and apparently, both the shift gets a different questions papers. Earlier, Indian air force used to provide the candidates with an option of taking the question paper along with them, but later they stopped candidates from taking the question paper back home. AFCAT 1 question paper consists a total of 100 questions. Thousands of aspirants appear in the AFCAT exam to qualify for SSB interview and then wait for AFCAT Answer Key. 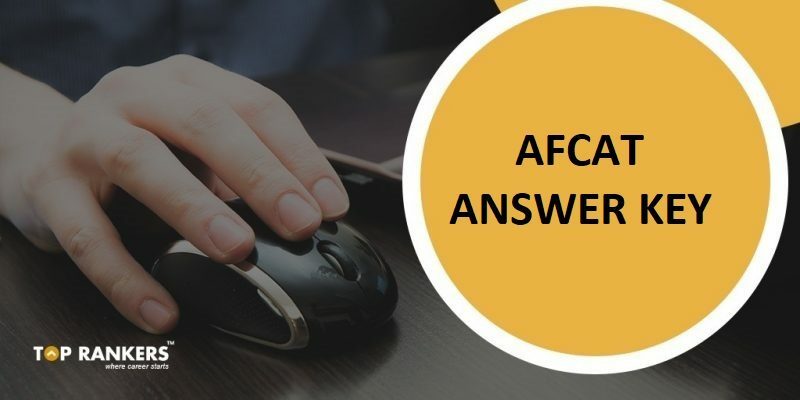 In this article, we have provided you with some of the answer keys and expected cut offs based on previous years’ AFCAT cut offs. Just Prepare according to latest AFCAT Syllabus. 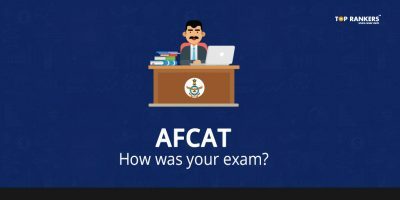 Candidates should note that AFCAT Answer key for paper 1 has not been released yet. The answer key would get released just after few days of the exam. We will update the same as soon as it is out by the department. Where is Lothal from IVC located? Oscar for best movie in 2017? Decommissioned ship in March 2017? Sahyadri is also known as? Western Ghats (also known as Sahyadri, meaning The Benevolent Mountains) is a mountain range that runs parallel to the western coast of the Indian peninsula, located entirely in India. Gandhiji started his 1st satyagraha from ? The Satyagraha of Champaran started in 1917 in the Champaran district of Bihar, India, during the period of the British Raj, was the first Satyagraha movement inspired by Mohandas Gandhi and a major revolt in the Indian Independence Movement. Another important Satyagraha just after this revolt was Kheda Satyagraha. Who got Nobel prize for ‘ The Old Man and the Sea? The Nobel Prize in Literature 1954 was awarded to Ernest Hemingway “for his mastery of the art of narrative, most recently demonstrated in The Old Man and the Sea, and for the influence that he has exerted on contemporary style”. Michael Ferreira is related to which sport? Michael Ferreira, nicknamed “the Bombay Tiger”, is notable amateur player of English billiards Whom did PV Sindhu beat to win Indian super series? PV Sindhu clinched the India Open title after beating Carolina Marin 21-19from India, and a three-time Amateur World Champion. Jeev Milkha Singh is related to which sport? Jeev Milkha Singh was on born 15 December 1971 is an Indian professional golfer who became the first player from India to join the European Tour in 1998. He has won four events on the European Tour, becoming the most successful Indian on tour. The Thomas Cup, sometimes called the World Men’s Team Championships, is an international badminton competition among teams representing member nations of the Badminton World Federation (BWF), the sport’s global governing body. Prairies are grasslands of which country? It includes Pampas of Argentina, southern Brazil and Uruguay as well as the steppes of Eurasia. Lands typically referred to as “prairie” tend to be in North America. The Pampas of South America are a grassland biome. They cover an area of almost 300,000 sq. miles or 777,000 square kilometers, from the Atlantic Ocean to the Andes Mountains. It is found primarily in Argentina and extends into Uruguay. How many players are there in the court for a basketball team? The time allowed is actual playing time; the clock is stopped while the play is not active. Therefore, games generally take much longer to complete than the allotted game time, typically about two hours. Generally, 5 players from each team may be on the court at one time. Which state won Vijay Hazare Trophy 2016-17 ? Iltutmish was from which dynasty? Shams ud-Din Iltutmish was the third ruler of the Delhi Sultanate, belonging to the Mamluk dynasty. Iltutmish consolidated the position of the sultanate in the Indian subcontinent. Whom did PV Sindhu beat to win Indian super series? Dushanbe, on the Varzob River, is the capital of Tajikistan. Mohiniattam is a folk dance of which state? Mohiniyattam, the dance of an enchantress, is a traditional dance which originated in the state of Kerala in India. It is named after Mohini, the Hindu mythological beauty. Who is the defense secretary during indo-china war 1962? 19 September 2014. They will host the Games in 2018 rather than the originally planned 2019 to avoid conflict with the Indonesian presidential election. Keoladeo Ghana national park located in? Keoladeo National Park, located in Bharatpur, the State of Rajasthan, is an important wintering ground of Palaearctic migratory waterfowl and is renowned for its large congregation of non-migratory resident breeding birds. Who is Animal farms author? International date line passes through which strait? (Wrangel Island lies directly on the meridian at 71°32′N 180°0′E, also noted as 71°32′N 180°0′W.) It then passes through the Bering Strait between the Diomede Islands at a distance of 1.5 kilometres (0.93 mi) from each island at 168°58′37″ W.
Caddie and bogey are related to which sport? Who is the chief of Air staff? 2018 Asian games will be hosted by ? Indonesia was approved as the host of the Games by Olympic Council of Asia executive board on 19 September 2014. They will host the Games in 2018 rather than the originally planned 2019 to avoid conflict with the Indonesian presidential election. Every year, the level of AFCAT exam has been increasing gradually. 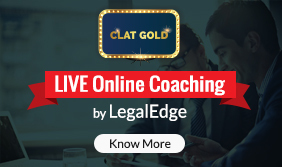 So we suggest candidates to at least attempt 50 questions and more correctly without any negative marking. Candidates can plan accordingly as to how and which part they are going to attempt in AFCAT 1 2018 question paper. For more details, keep visiting the official website, www.careerairforce.nic.in. 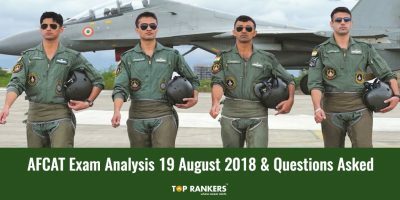 AFCAT 1 2018 Answer Key question paper will help the candidates to verify their answers and to evaluate the performance. Candidates who score more than the cut off marks in AFCAT question paper will be allowed to appear in SSB interview. SSB interview is the final task to get into Indian Air Force. If you feel that any question or answer is incorrect, please discuss AFCAT answer key here with all other aspirants. Stay tuned for more updates on AFCAT Answer Key.